This freeform pool and spa features a table with bench seating around it, a large sun bench in the shallow end, a raised spa attached that spills into the swimming pool, a diving board and three deck jets. The pool is finished with Super Blue Diamond Brite. 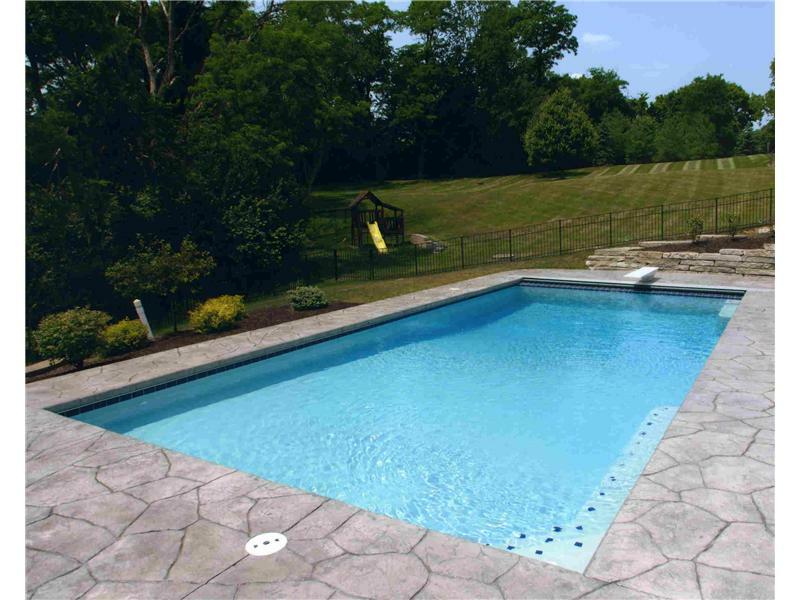 This rectangle pool is finished with French Gray Diamond Brite and is equipped with an automatic cover. 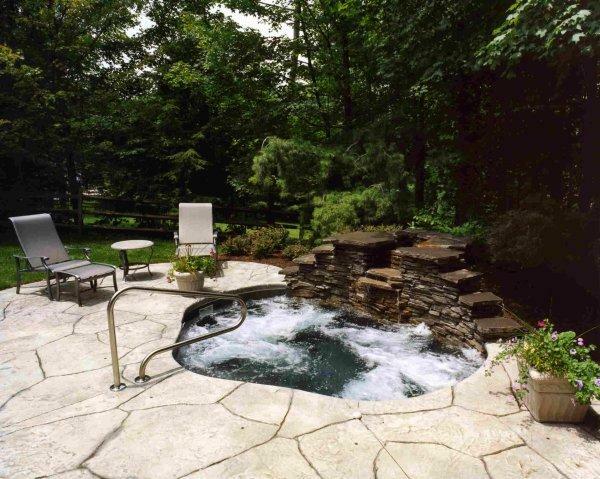 This spa features a natural stone waterfall and is finished with Onyx Diamond Brite. It has an automation system that allows the spa to be controlled from inside the house. 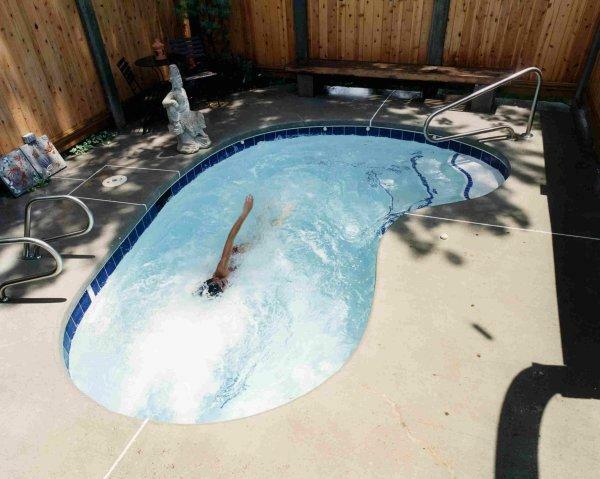 This lap pool is great for aquatic therapy and is finished with Onyx Diamond Brite. This residential swim spa is finished with White Plaster interior and is equipped with a "swim jet" that allows users to swim endlessly against the current created. 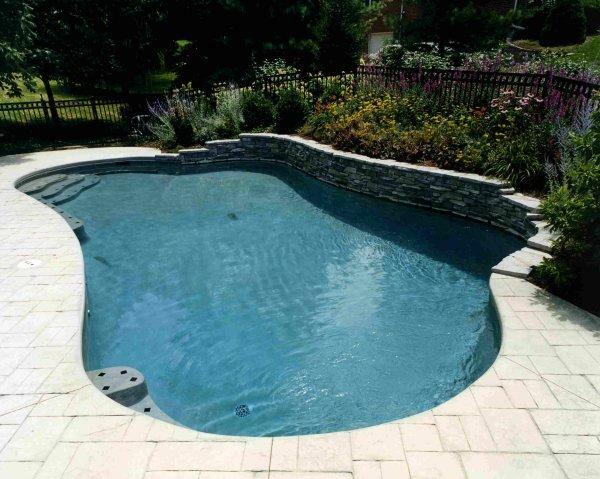 This rectangle pool is finished with Blue Diamond Brite and is equipped with an automatic cover and a diving board. This pool was designed to fit seamlessly with the nature surrounding it. 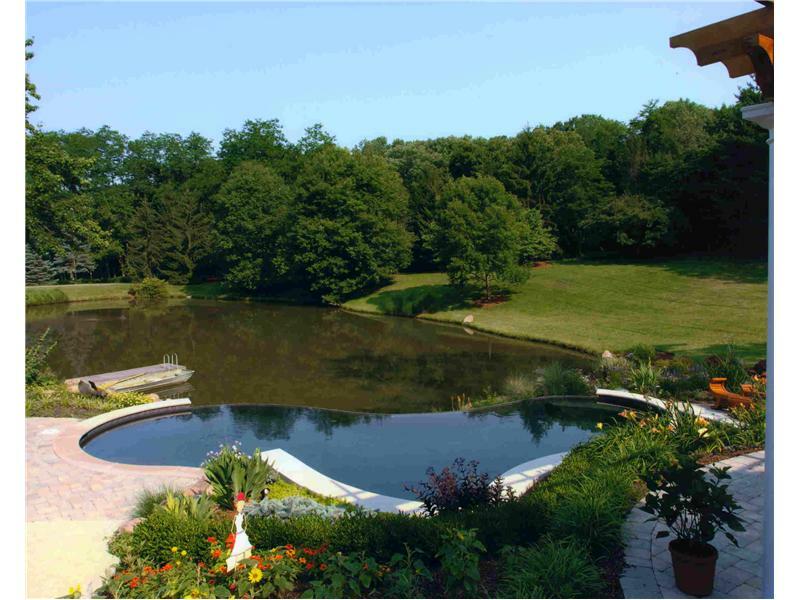 It has a disappearing edge that creates the effect that the pool and pond are one body of water. The pool is finished with Onyx Diamond Brite. 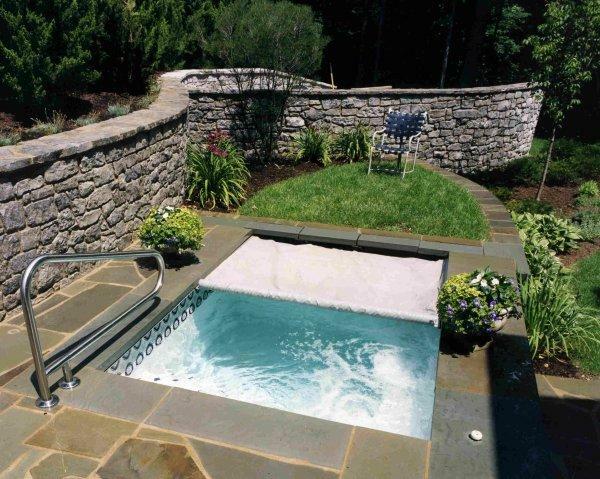 This pool/spa combination has a large natural rock wall that allows for the water from the spa to spill into the pool. The pool is finished with French Gray Diamond Brite. 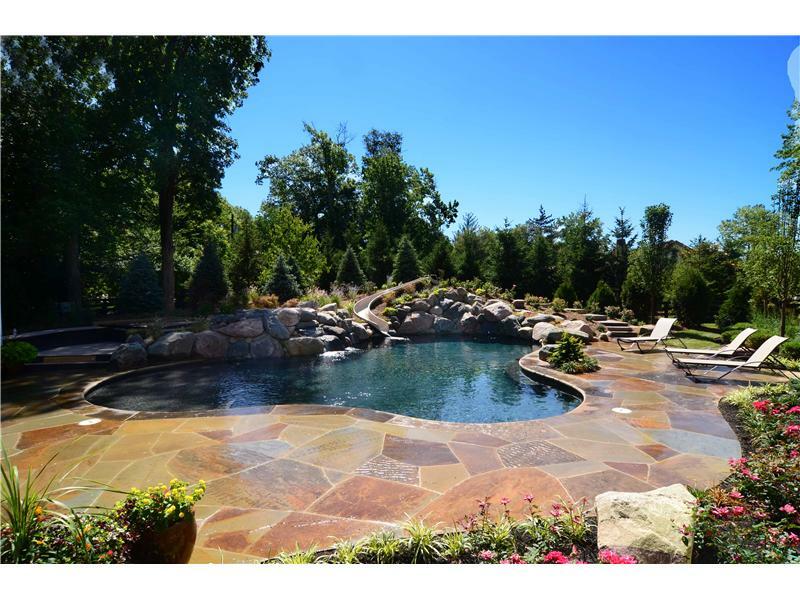 This pool and spa, finished with Onyx Diamond Brite features a large waterfall made from natural stone, a spillover spa and a diving board. This pool has a spa built into the shell of the pool. The spa spills over into the pool. The pool/spa is equipped with a racing lane and an automatic cover. The pool is finished with Blue Diamond Brite. 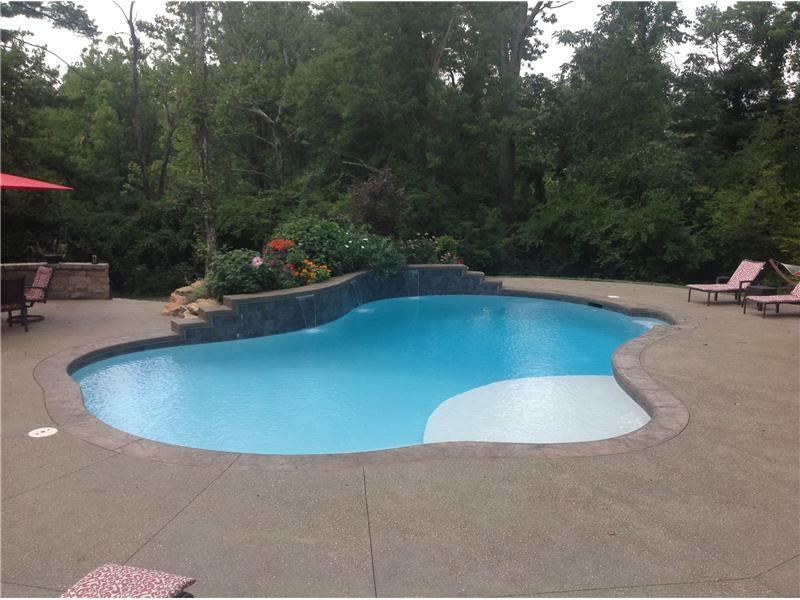 This automatic cover pool is finished with French Gray Diamond Brite. 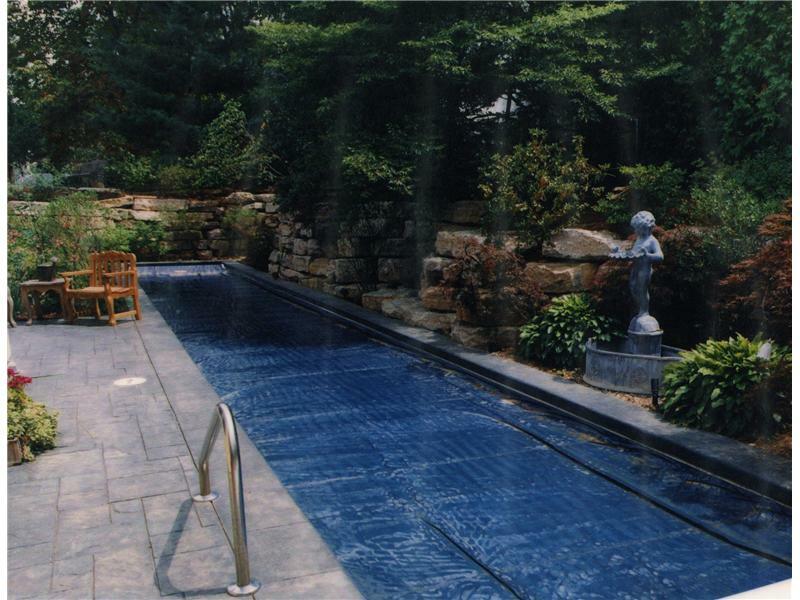 This pool is finished with French Gray Diamond Brite and includes a long, raised wall finished with a stone veneer. 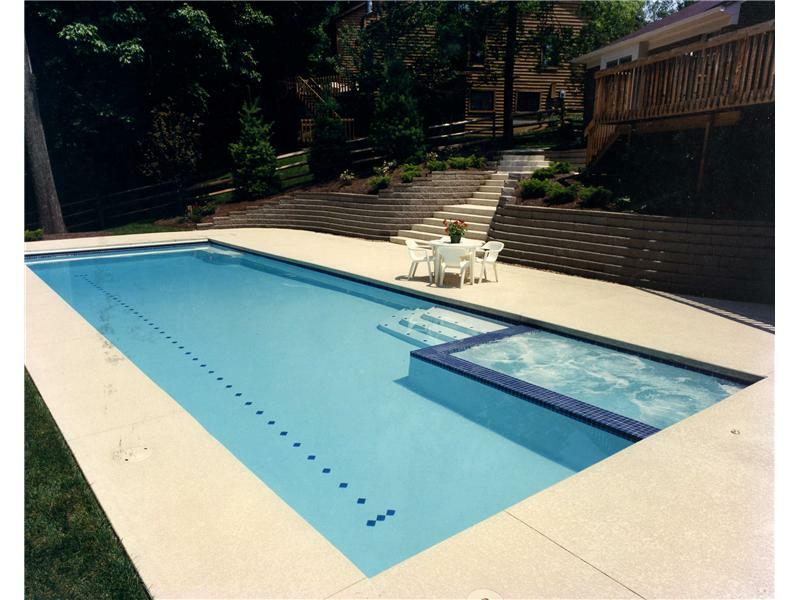 This automatic cover pool has swimout benches in the deep end and is finished with white plaster interior. This small free form pool was designed and built to create an atmosphere found in nature. The pool is finished with Onyx Diamond Brite. 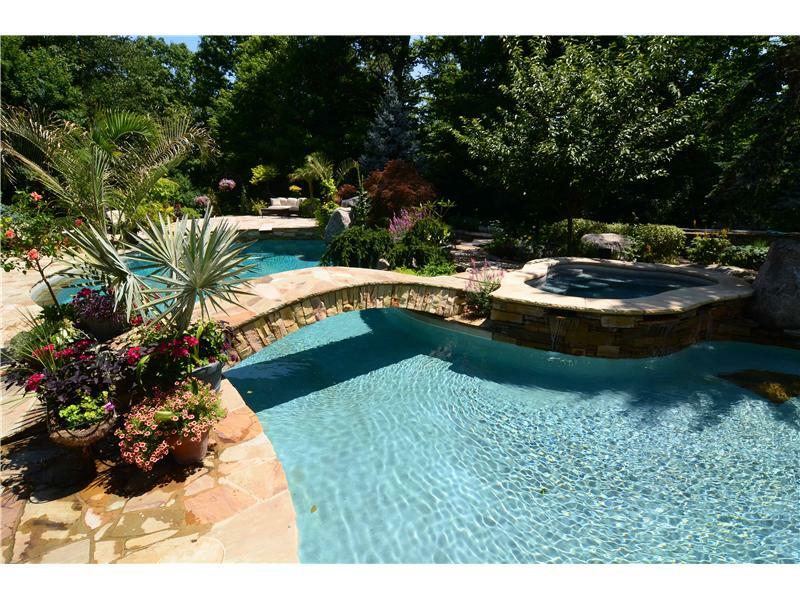 The pool features a large rock waterfall from natural stone, a beach entry and a table with bench seating. The pool is finished with Onyx Diamond Brite. 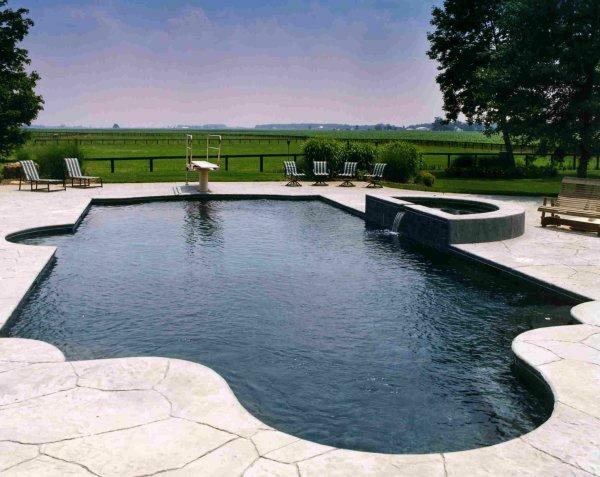 This free form pool has a large sun bench with steps off of it, a large waterfall created from natural stone and two geysers in the sun bench. It is finished with French Gray Diamond Brite. 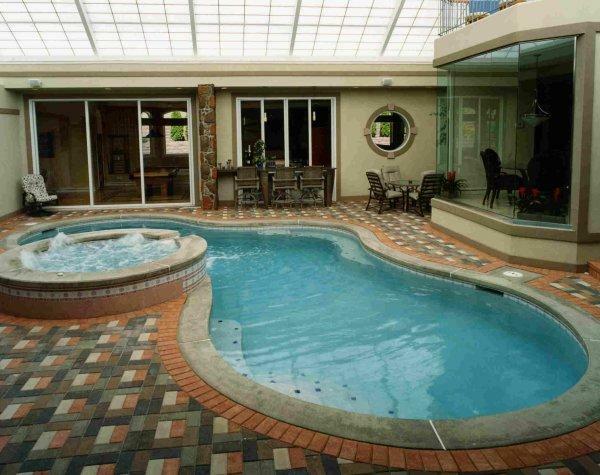 Free form pool with white plaster interior finish and a raised wall finished with tile. The spa is raised and spills into the pool. This free form pool has an underwater bench and is finished with Onyx Diamond Brite. This indoor pool and spa has an underwater bench and a raised spa that spills into the pool. The pool is finished with Blue Diamond Brite. 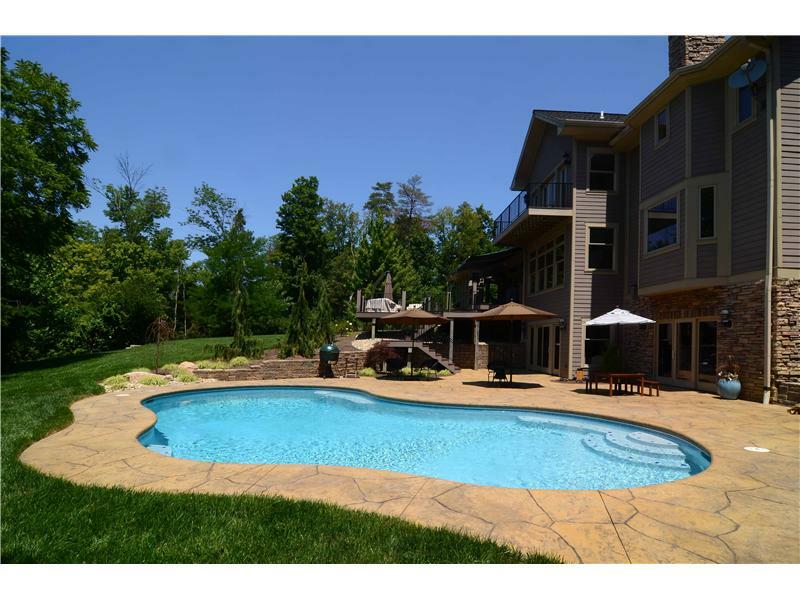 This free form pool has an attached spa, sheer descent water features, a bridge connecting the different deck areas, a diving board and a fountain in the sun bench. Swimming under the bridge leads to a swim up bar. The pool has a white plaster interior finish. 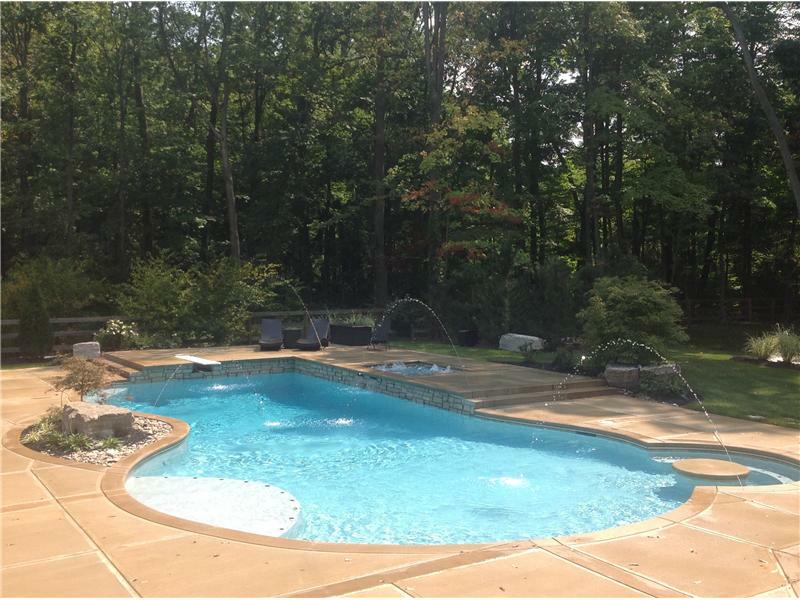 This pool and spa is finished with French Gray Diamond Brite, has an underwater bench and the raised spa area is finished with a stone veneer. 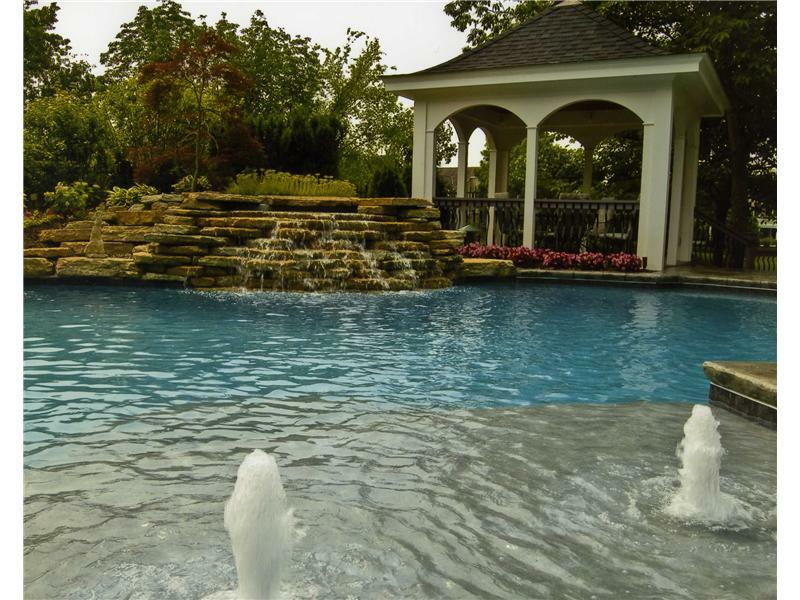 This water feature has a fountain head and was designed to fit in with the style of the home. 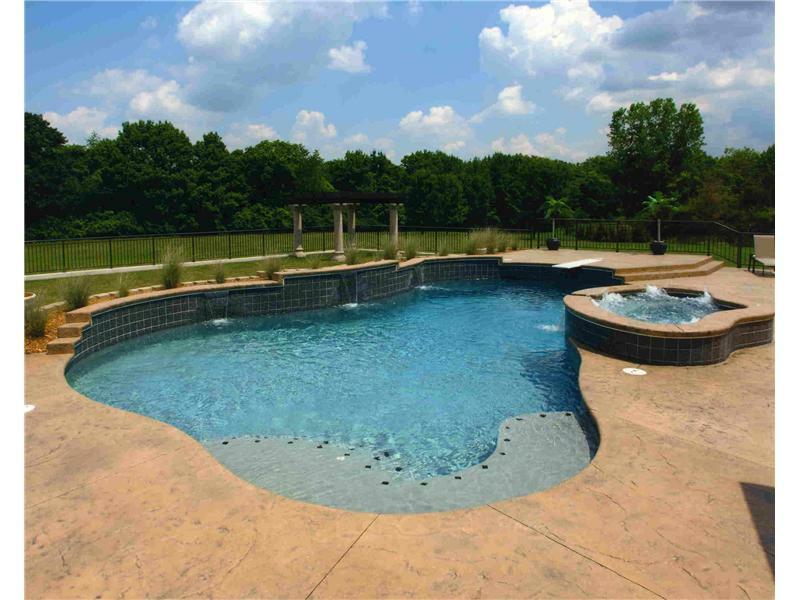 This pool finished with French Gray Diamond Brite is equipped with an automatic cover and a long raised wall that has three sheer descent water features. The Raised wall is finished with a stone veneer. The pool has a roman style design with a kickout in the deep end that is equipped with a large sun bench and a white plaster interior finish. 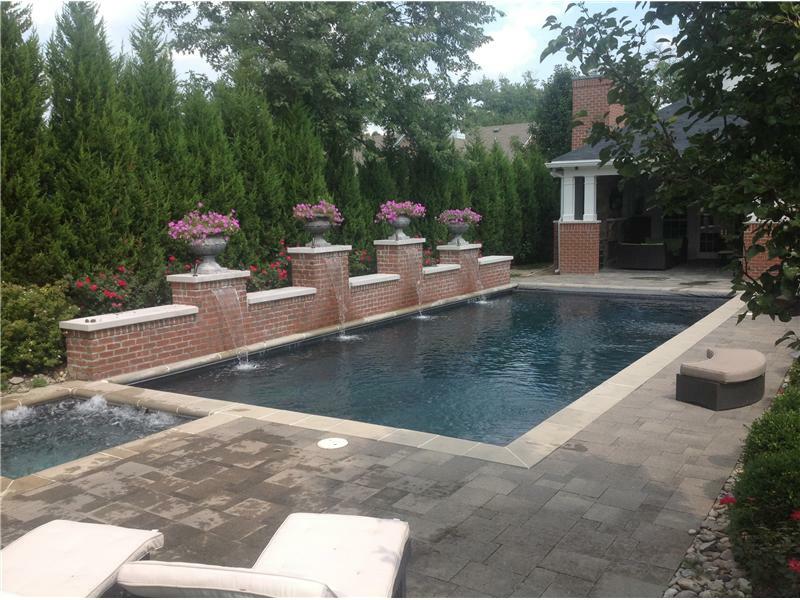 The raised wall on this project is finished with 6x6 tile and the pool is finished with white plaster. 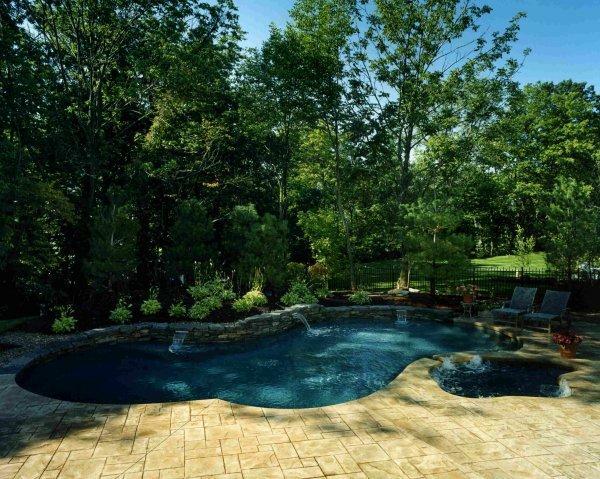 This pool has a raised wall finished with 6x6 tile and a disappearing edge to fit naturally with its surroundings. The pool has Onyx Diamond Brite. 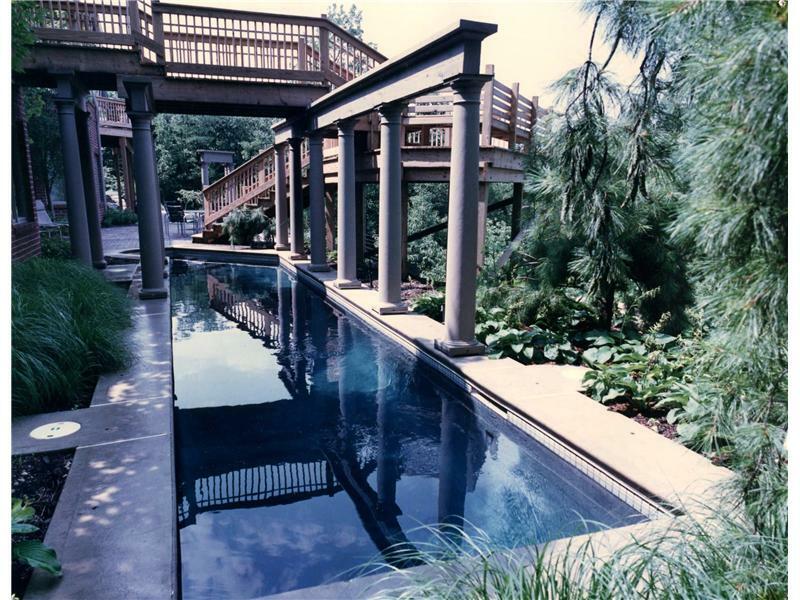 This Roman style pool features steps on each end and a large sun bench in the middle. The pool is finished with white plaster. 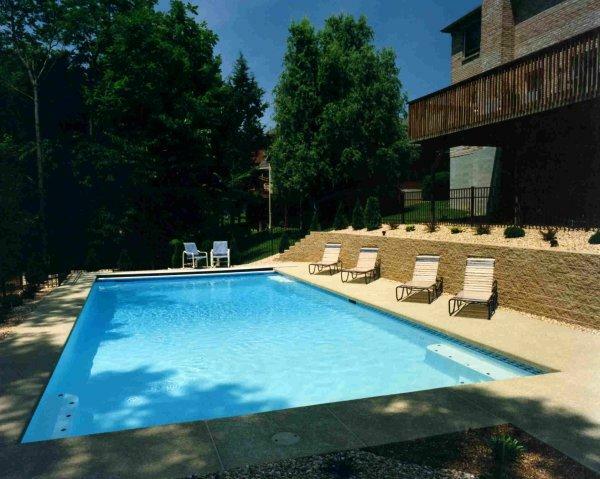 This pool and spa features a diving board and an automatic cover. They are finished with French Gray Diamond Brite. 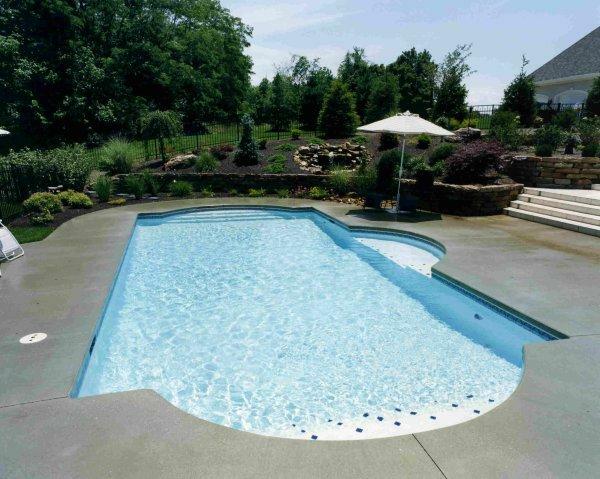 This lap pool was built on the side of a home and is equipped with an automatic cover. 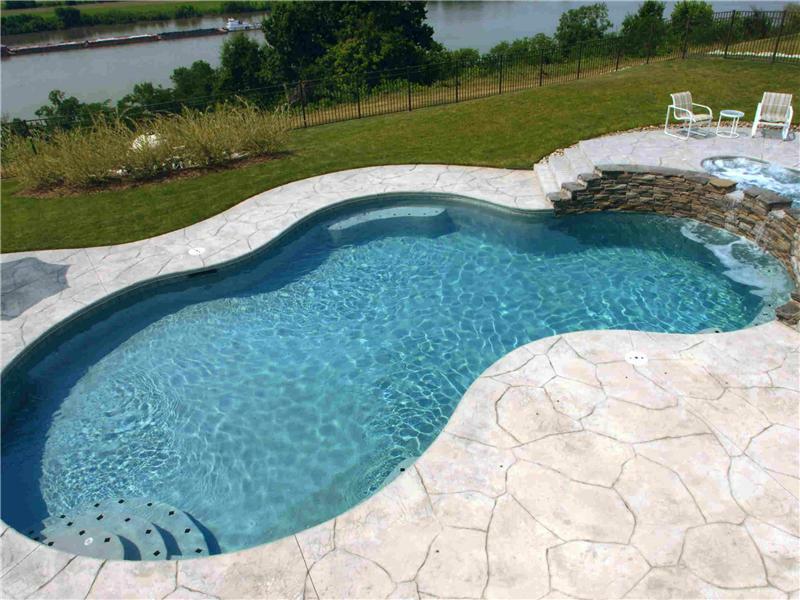 This free form pool has a disappearing edge that creates the visual of the water overflowing endlessly. The pool is finished with Onyx Diamond Brite. 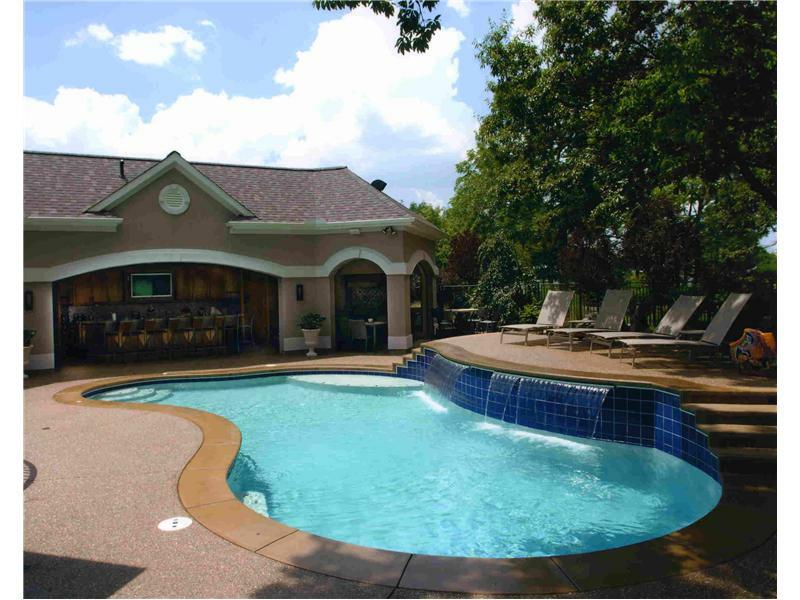 This pool was designed to fit in a courtyard and create a French Quarter style environment. The pool is finished with Onyx Diamond Brite, a spa attached and a swim jet to for endless swimming. 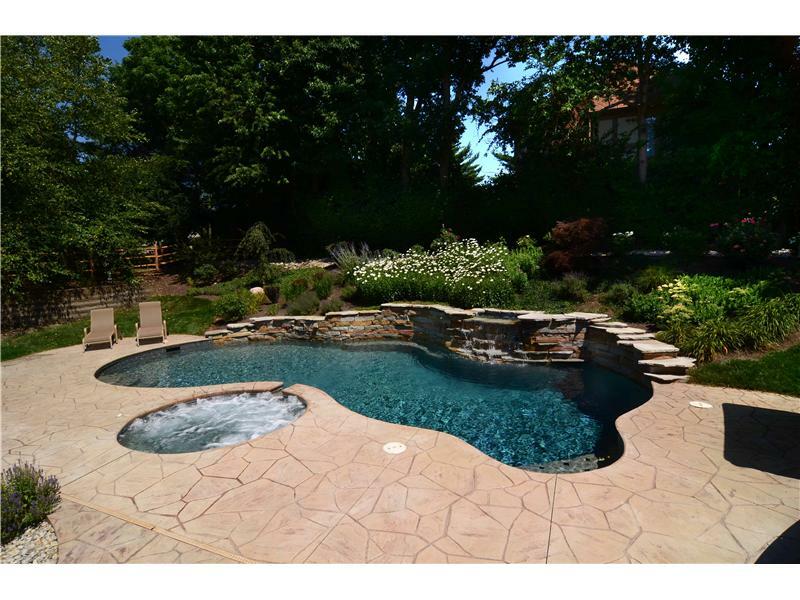 This large free form pool has a large sun bench on one end that has 6 geysers included on the bench The raised spa is finished with tile and the shallow end has an exposed wall that is faced with a stone veneer. The pool is finished with Classic Diamond Brite. 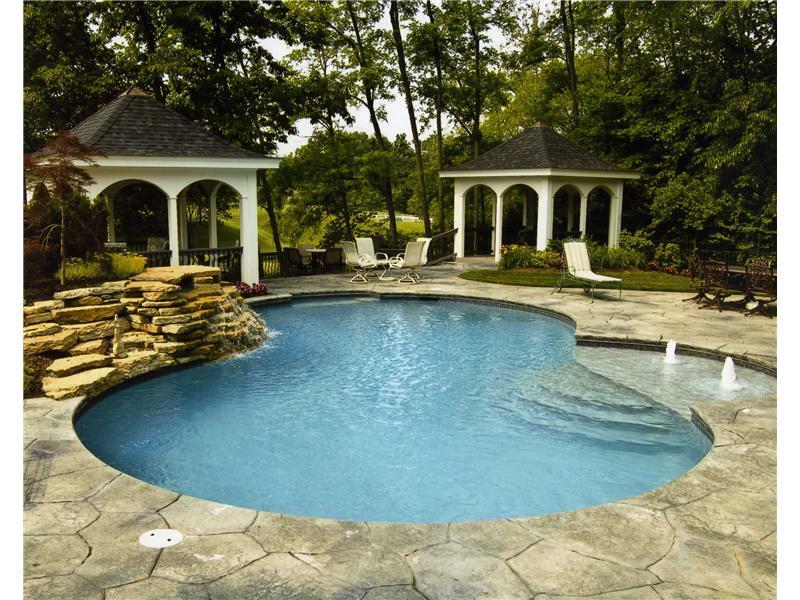 This pool has French Gray Diamond Brite interior and has a spa attached at the same level as the pool. The long raised wall has three sheer descents and is faced with a stone veneer. This pool and spa, finished with French Gray Diamond Brite, has three Laminar deck jets that have colored LED lights that light up the entire water stream. There is also a sheer descent waterfall coming off of the raised spa. The raised spa is faced with a stone veneer. 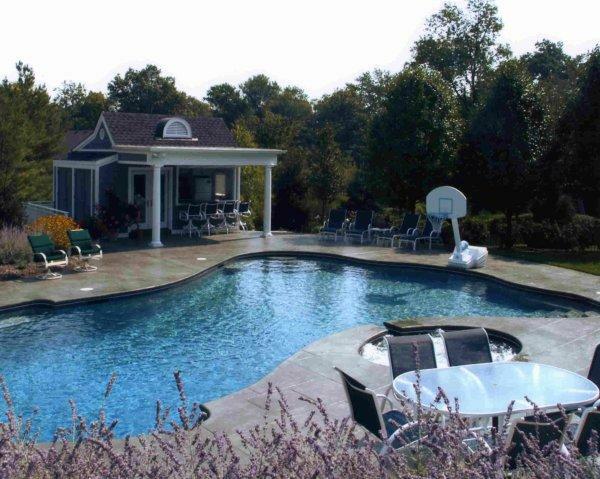 The pool also features an automatic cover and a basketball hoop. 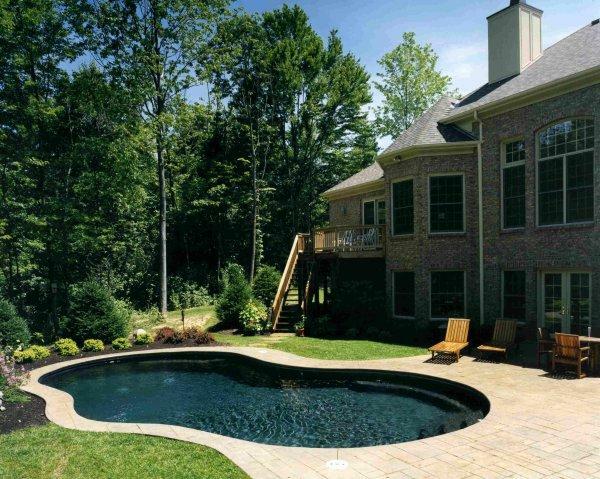 Free form pool designed to fit the natural landscaping of the property. 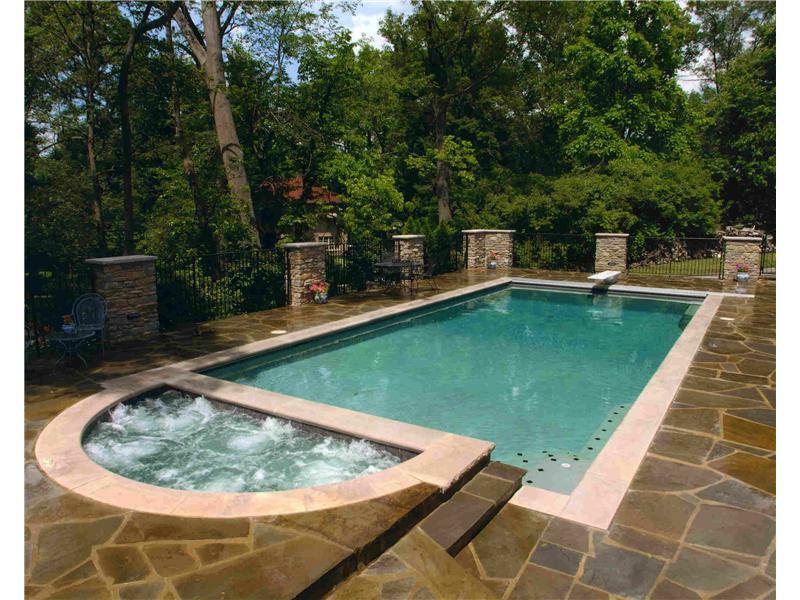 The pool is finished with Onyx Diamond Brite, and has a natural stone waterfall attached to the spa. There are geysers in the sun bench in the shallow end. 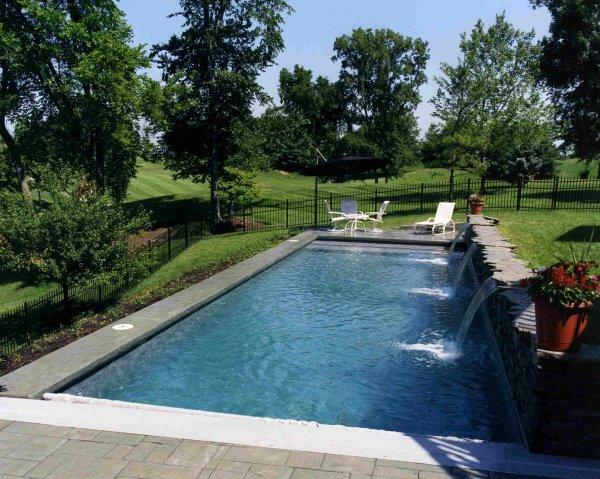 This French Gray Diamond Brite pool was built into a hillside and has almost half of its walls exposed out of the ground. The pool features a bench in the deep end with 4 therapeutic spa heads. 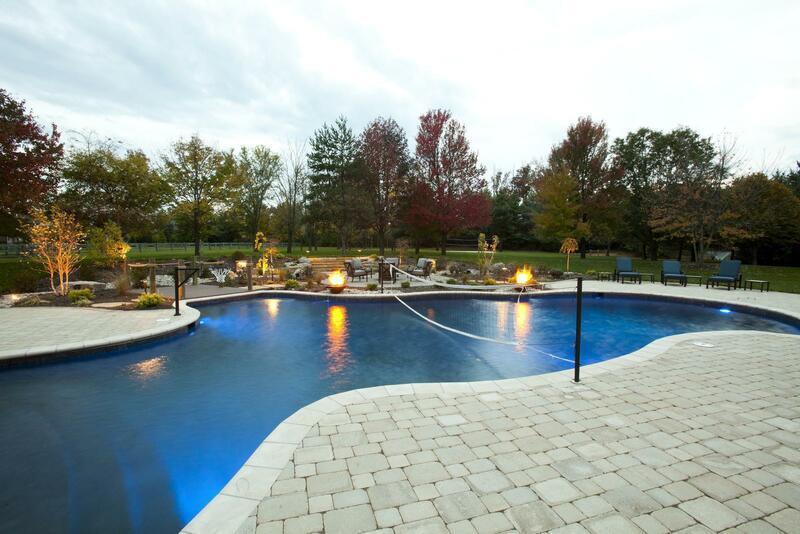 This pool features colored LED lights in the pool and spa, colored LED geysers in the large sun bench, colored LED deck jets, a raised wall with three sheer descents and a raised spa finished with a stone veneer. There is a basketball hoop in the deck and a 1 meter diving board. The pool is finished with Classic Diamond Brite. 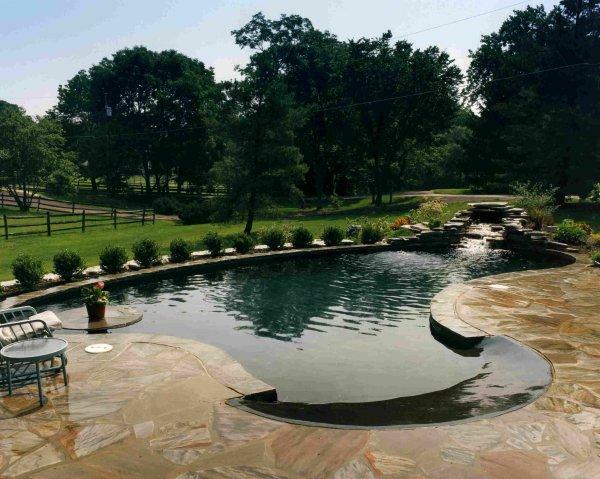 This natural pool is free form in shape and has a raised waterfall created from natural stone. The pool is finished with Onyx Diamond Brite. This free form pool and spa has a deep end with a diving board, a raised spa that spills into the pool and two sets of steps. The pool has French Gray Diamond Brite. 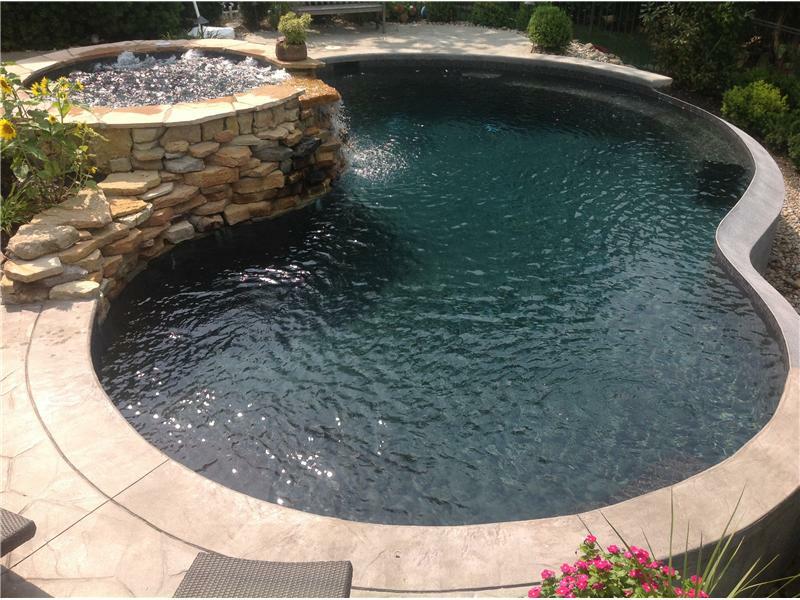 This free form pool is finished with Onyx Diamond Brite. 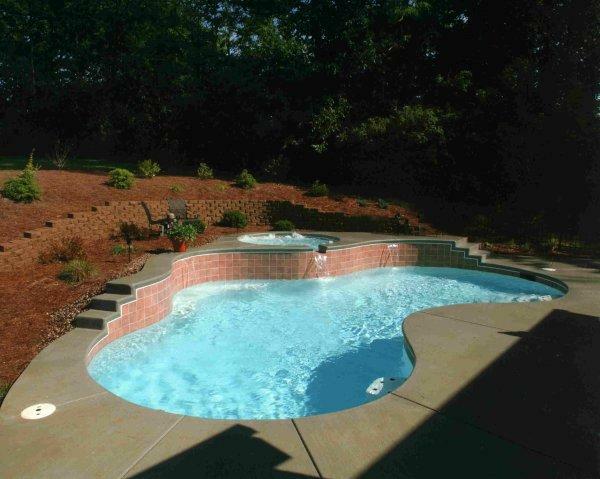 This lap pool was built on the side of the home and has an automatic cover and Onyx Diamond Brite. 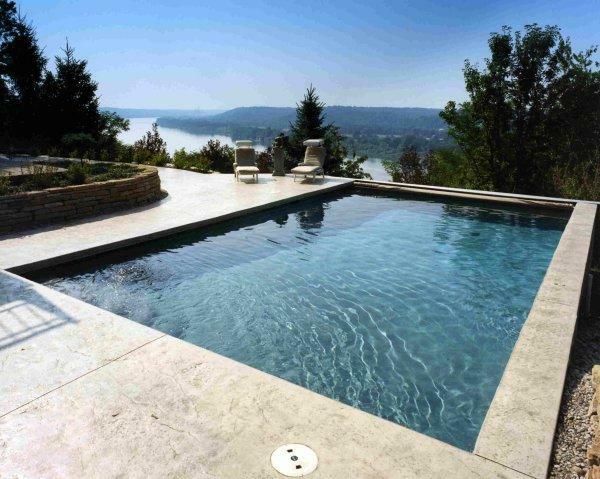 This pool with an automatic cover was built on a hillside overlooking the Ohio River. The pool is finished with French Gray Diamond Brite. This large Roman pool has a sun bench in the middle, a raised spa finished with tile and a 1 meter board in the deep end. The pool is finished with Onyx Diamond Brite. This square spa is finished with white plaster interior and has an automatic cover. 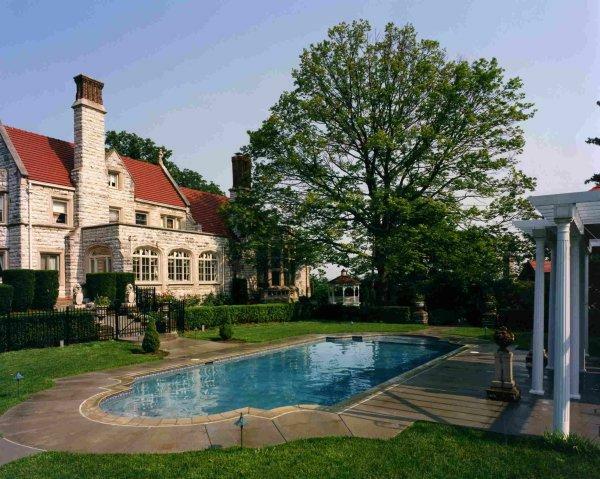 The large waterfall on the entire length of this pool is made from natural stone. The pool has LED colored lights, a large sun bench with three geysers, underwater bar stools and is finished with Ocean Blue Diamond Brite. This free form pool with Onyx Diamond Brite has a large sun bench with steps off of the bench, a volleyball net that spans the pool, colored LED lights and two fire bowls that spill water into the pool. 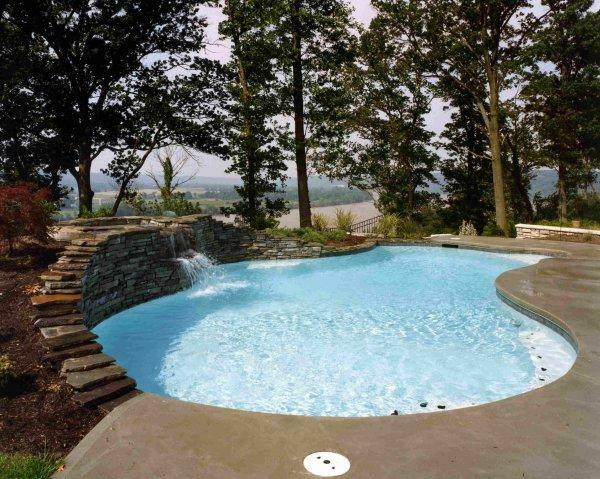 This free form pool is finished with white plaster and has a natural stone waterfall. The long raised wall on this free form pool is faced with 6x6 tile. 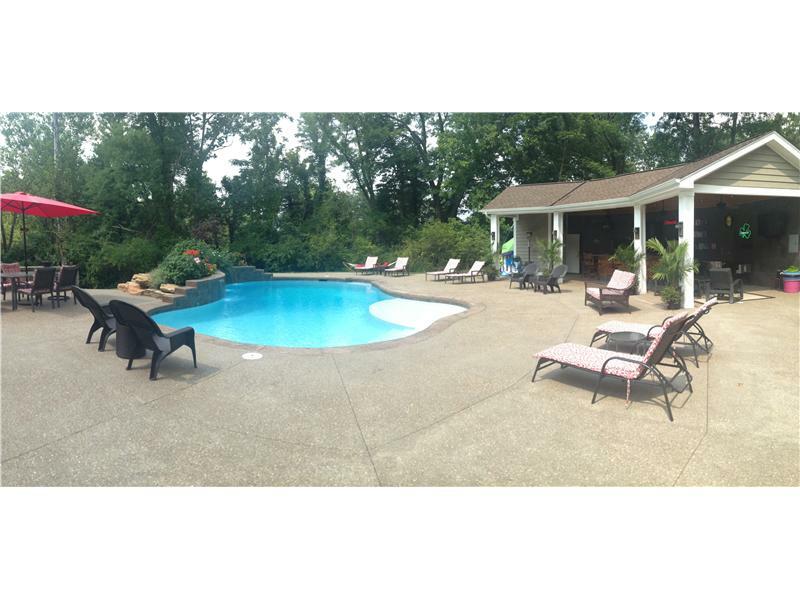 The pool and spa are finished with French Gray Diamond Brite. The pool has a raised spa attached and features a diving board. 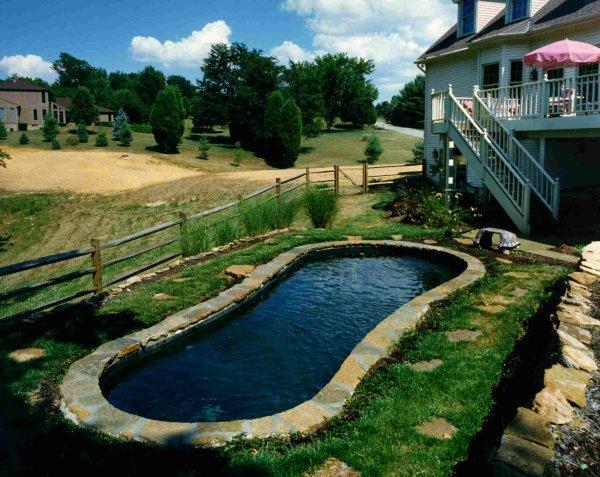 This free form pool has a large sun bench in the shallow are and two 6 feet long sheer descents. There is a bench in the shallow end that has therapeutic spa heads. The pool is finished with Blue Diamond Brite. 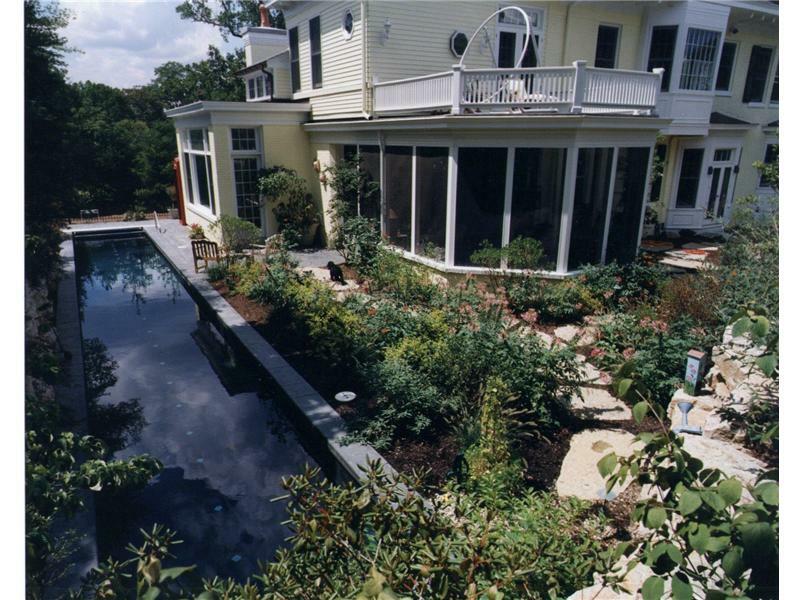 This Roman pool was designed to fit in with the architecture of the existing home and is finished with French Gray Diamond Brite. 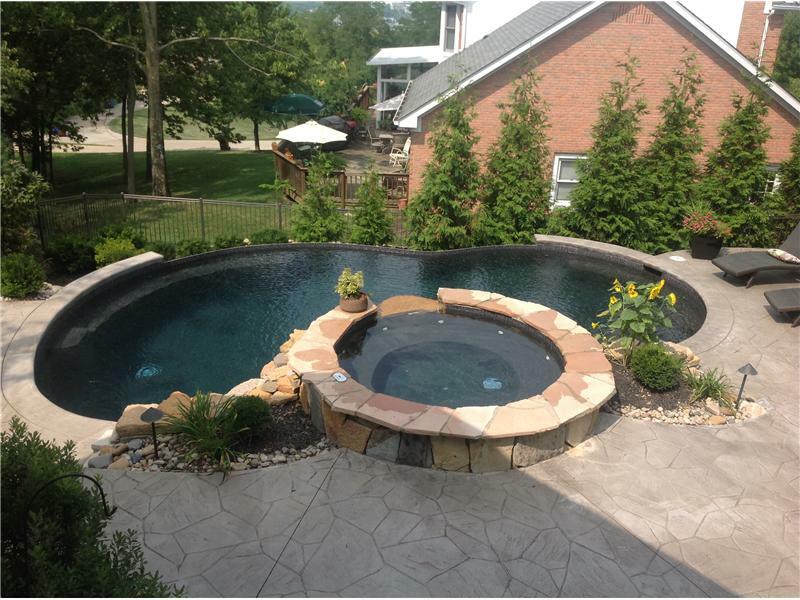 This pool with a raised spa is finished with Onyx Diamond Brite and features a simulated disappearing edge. The raised spa and spa overflow are both finished and faced with stone creating a natural waterfall visual. Blue Quartz Diamond Brite interior finish and an underwater bench are features that this free form pool is equipped with. 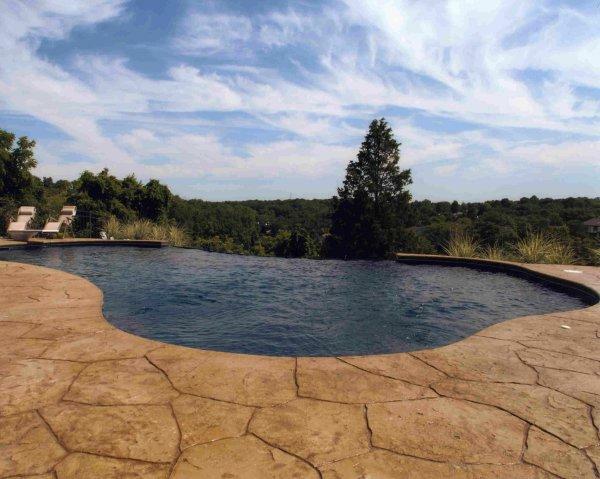 This pool and spa combination has French Gray Diamond Brite and features a large waterfall made from natural stone. There is a large swimout bench in the deep end. 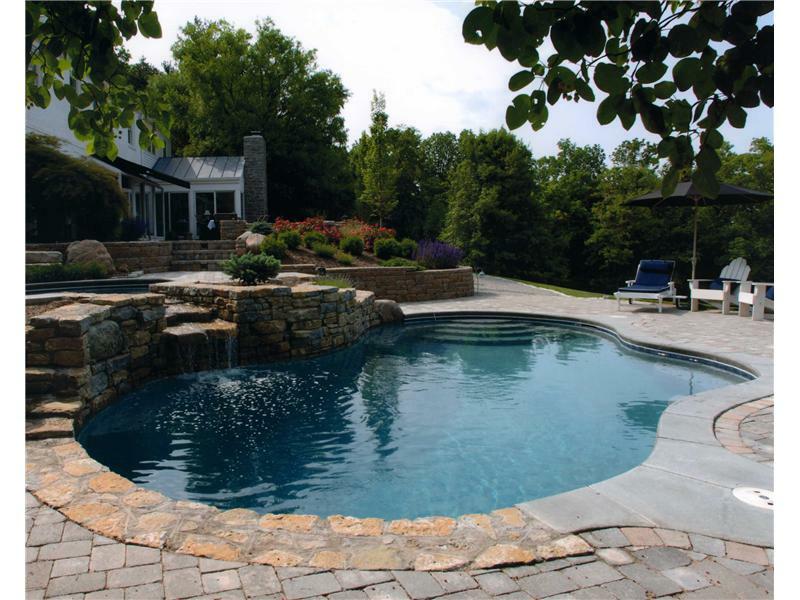 This free form pool and spa showcases a rock bridge spanning the pool, French Gray Diamond Brite, a raised spa faced with stone and a beach entry. The large sun bench in the shallow area is the focal point of this white plaster pool. There is a raised wall faced with tile that is equipped with three sheer descents. 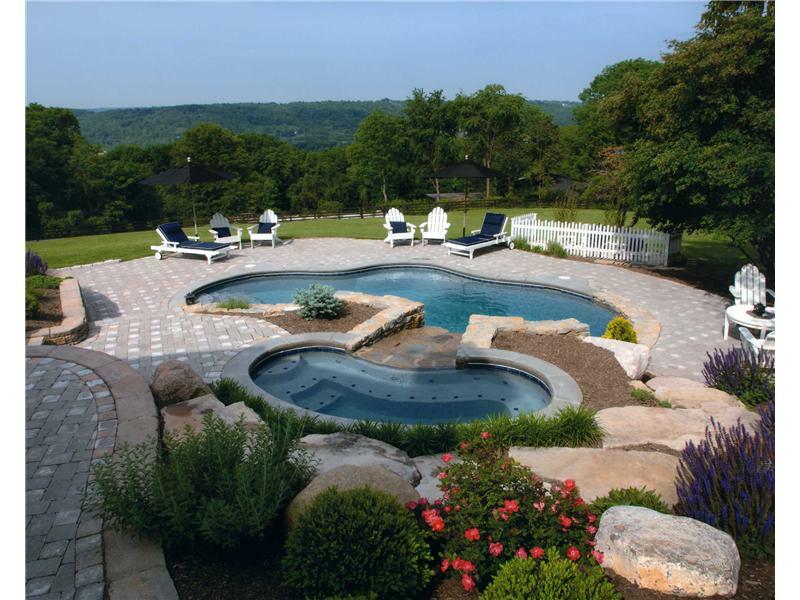 This free form pool has a large rock formation that a custom slide was built into along with a waterfall from the natural stone. The large sun bench in the shallow end has geysers and the pool is finished with Onyx Diamond Brite. 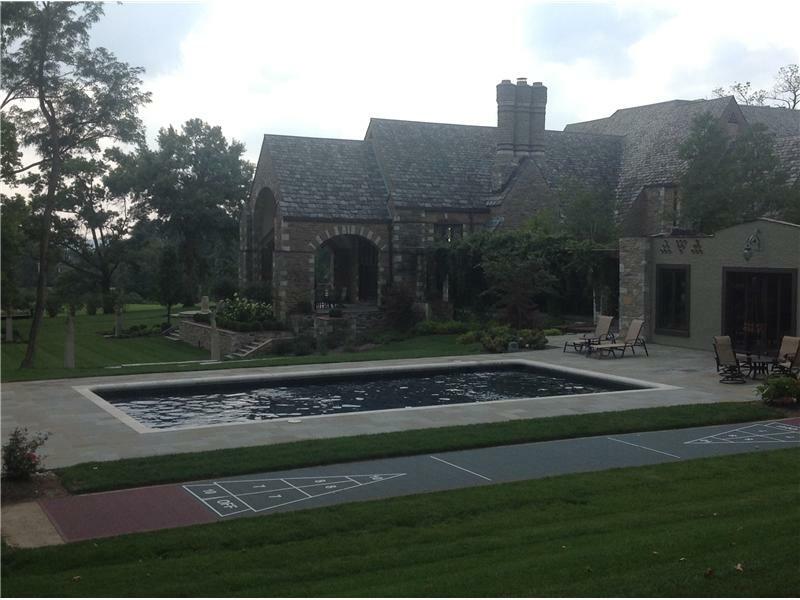 This geometric pool is finished with Onyx Diamond Brite. 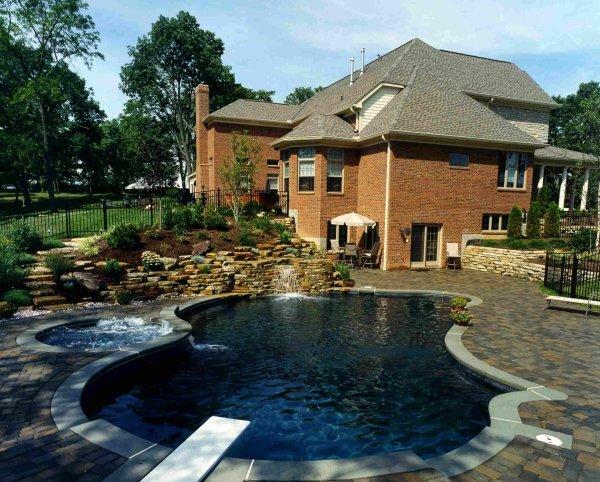 This pool and spa combination has an automatic cover and a raised wall faced with brick and equipped with three sheer descents. The pool is finished with Onyx Diamond Brite.